Wizkid is grabbed on stage by a dotting fan. 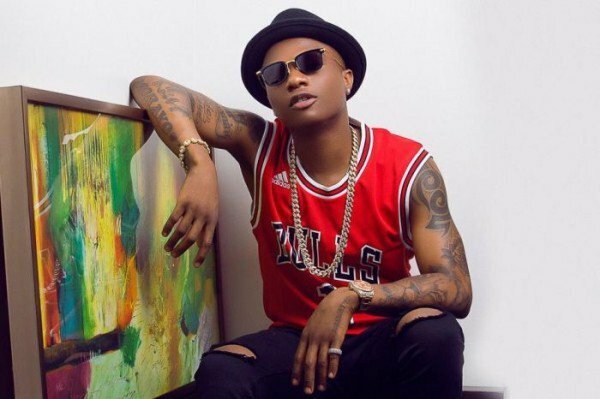 Nigerian singer, Wizkid was almost made to lose his balance on stage by a female fan, during a recent performance. While singeing to the hearty cheers of fans, an unnamed female fan bagged in on the singer. She fiercely tries to grab the singer and succeeds, but for the help of bouncers, who were timely in rescuing him from her. She however, didn’t back down in her attempt as she had to be carried away from the stage by the bouncers. This, didn’t stop the singer from entertaining his audience as though nothing happened.